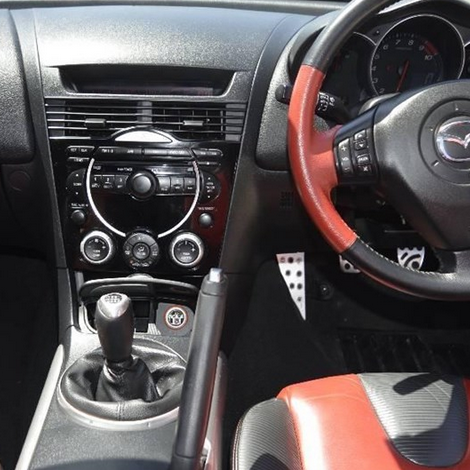 The Mazda RX-8 was a sports car manufactured by Mazda Motor Corporation. The first version of the RX-8, chassis code SE3P, and JM1FE, was produced from model year 2003, though the car's U.S. debut was the 2004 model. It is powered by the RENESIS 13B-MSP (multi side port) Wankel 654×2 rotary engine displacing 1.3 litres non-turbo (1308 cc). 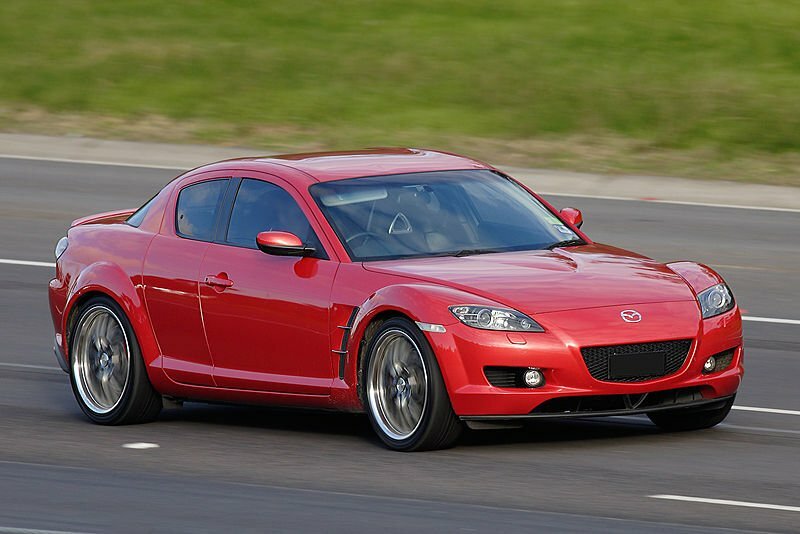 In 2009, Mazda engineers improved the RX-8 body rigidity through the addition of structural reinforcements, by adding a trapezoidal strut tower bar and enhancing the local rigidity of the front suspension tower areas. The rear suspension geometry was revised for better handling.